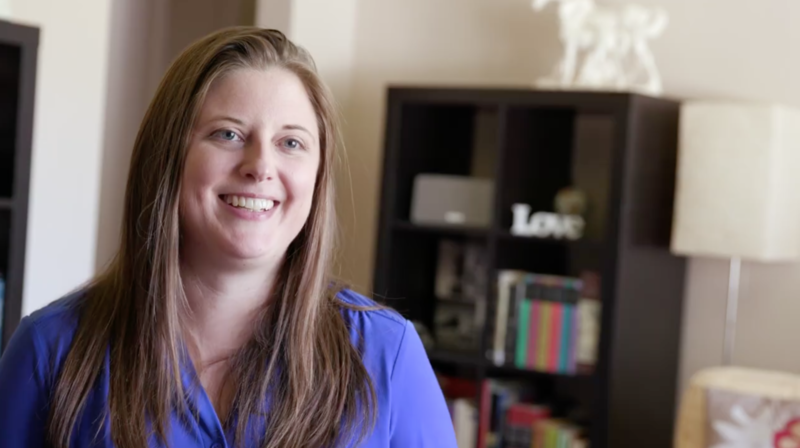 Instead of preaching a sermon today at the Foothills Community Church of Seventh-day Adventists in the Arizona Conference, Pastor Alicia Johnston released a video discussing her resignation after coming out as bisexual. “It’s wonderful to finally be able to say ‘This is who I am,’ and that’s something I love about myself,” Johnston said in the message. Johnston served as the sole pastor of the Foothills Community Church in Chandler, Arizona, since January, 2016, succeeding Stuart Harrison who was the founding pastor of the church in October 2001. Johnston completed her Master of Divinity degree in 2012 from Andrews University and served as a church-planting pastor for the Carolina Conference of Seventh-day Adventists prior to coming to the Arizona Conference. She shared her coming out and resignation with her congregation and the leaders of the Arizona Conference this week. Her decision to resign from pastoral ministry came at a point of “complete disagreement with the Adventist Church on its teachings on LGBT people,” Johnston said in her video message. She found herself unable to continue ministering without being honest about that fact, she said. Johnston, whose parents were both first-generation Adventists, continues to find deep meaning in Seventh-day Adventist theology—particularly the Sabbath. “Having been able to live with that bookending every week is a special, special thing,” she said. “There are a lot of things I love about the Adventist Church and having been raised Adventist.” But when it came to the Adventist Church’s published stances on LGBT people, Johnston felt a deep and personal disconnect with the church. Johnston is not the first LGBT Adventist to resign from full-time ministry and will likely not be the last. However, she is the first Adventist pastor to publicly share a coming out story through video. Her message was received with statements of affirmation and support on social media. Johnston said that she had to experience a change in her theology before she could accept the truth of her bisexuality. “I knew that shame of feeling inconvenient and like you weren’t a part,” she said with tears in her eyes. “I couldn’t ignore the fact that our church is causing that to people.” That treatment by her faith community had a direct impact on her view of God. “It really made it difficult for me to feel okay with God,” she said. “How is this what you want for your children?” she wondered. Johnston enlisted the help of Daneen Akers and Stephen Eyer for filming and editing her video message. The Oceanside, California-based husband and wife filmmaking team produced the documentary “Seventh-Gay Adventists” and are vocal advocates for LGBT people in and out of the Adventist Church. Their follow-up projects include “Enough Room at the Table” a dialogue-based companion film to “Seventh-Gay Adventists” and “Outspoken,” a series of short, made-for-web films celebrating the contributions of LGBT people who grew up in and, in most cases, remain part of the Adventist Church. Johnston said she could no longer remain silent because silence is literally killing people. “That institutional silence needs to be broken,” she said.